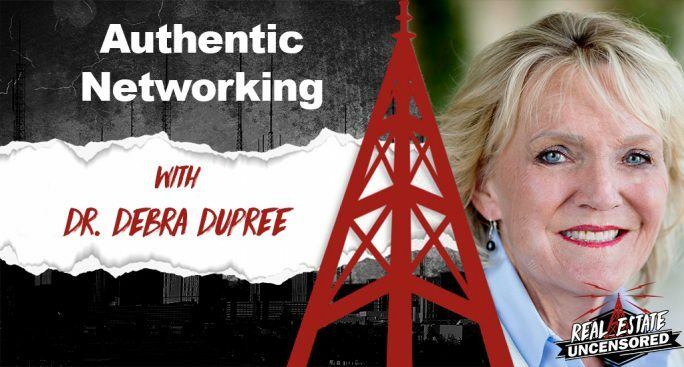 Authentic Networking | Dr. Debra Dupree, Relationships At Work, Inc.
Networking can be everything from causing anxiety and discomfort all the way to being socially paralyzing to the point where you can’t do it at all. How can you shed your fear of networking by being more intentional and clear? How does deep breathing play into how you come across to people? How do you find communication clues in other people? In networking situations, you put people off when you make everything about you and fail to show any generosity. Learn to talk less and listen more, and lead with actual value. When you do eventually ask, it will be easier because you would have given something in the first place. People will feel more connected to you when you have a giver approach than a getter approach. Watch the podcast recording at mcdanielrealestatesystems.com/2017/11/24/authentic-networking-wdr-debra-dupree/real-estate-uncensored-podcast.